Ratings Results of Interest: Last week I whiffed on the Mars ratings results from its debut the prior Monday, so I will catch up with that show now. That docu-drama returned on November 12th for its second season but only posted a 0.09 rating based on same day viewing for the 18-49 demographic with 604K total viewers, and then it slipped to a 0.05 rating with 413K total viewers last Monday. That has the show down by over 60% from the of its first season which aired two years ago. The long time between seasons may have contributed to the drop in viewership, though Nat Geo did a pretty good job of promoting the show’s return. This one was a global hit in 2016 according to its network, so its worldwide numbers may factor more heavily into its standing and there is still a possibility this one could come back for a third year run. On Monday of this week, The CW’s Arrow had a 0.4 rating with 1.3 million total viewers and Legends of Tomorrow had a 0.3 rating with 989K total viewers (based on the preliminaries). That puts Arrow up by 0.1 from last week while LoT held steadily low. Over on NBC, Manifest held even with last week pulling a 1.1 rating with right at six million total viewers. That show is now on break until mid-season. On Sunday, AMC’s The Walking Dead improved to a 2.0 rating with 5.1 million total viewers, but that marks a low-point for a mid-season finale from the show, over 40% below its numbers at the same point last year. But as I have said before, I expect this one will be back for at least one more season if not more. Over on BBC America, Doctor Who improved to a 0.30 rating with 867K total viewers as that one winds down its current season. On Starz, Outlander improved slightly to a 0.15 rating with 960K total viewers while on Disney Star Wars: Resistance slipped to a 0.07 score with 338K total viewers. On the broadcast nets on Sunday, CBS’s God Friended me improved to a 1.0 rating with 8.1 million total viewers as that one continues to do well for its network on Sundays. Over on The CW, Supergirl held at a 0.3 rating with 1.2 million total viewers while Charmed slipped to a 0.2 score with 869K total viewers. But despite their low numbers in the demo, they should both be considered safe at this point. On Friday, Syfy’s Z Nation slipped to a 0.14 rating with 448K total viewers and Van Helsing slipped to a 0.08 rating with 354K total viewers. The holiday weekend is probably partly to blame, but both of those shows have been under-performing most of season. On Tuesday, The CW’s The Flash remained low at a 0.6 rating with 1.6 million total viewers and Black Lightning also remained low at a 0.3 rating with 985K total viewers. The former series is still safe, but the latter could be verging closer to Bubble status. The rest of the Tuesday through Friday shows were preempted or in repeats due to the holiday week. The Fall season is winding down now and several sci fi and fantasy shows look like they could become victims of the Peak TV crunch. But the networks are starting to understand that the old school Nielsen ratings no longer accurately reflect the full viewership for their shows, and that offers an opportunity for fans to step up and show their support in ways that the networks will notice. 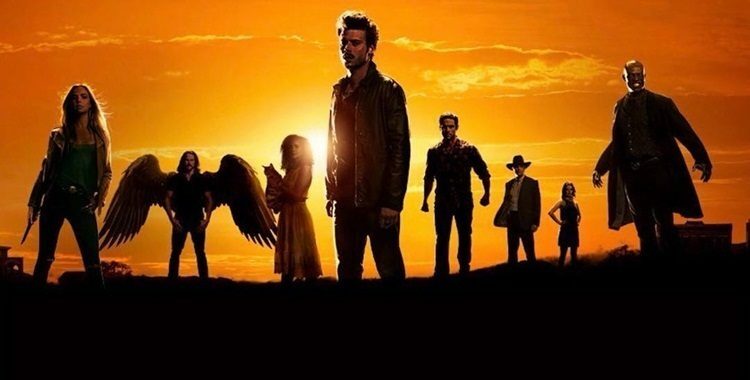 Last year we saw FOX’s Lucifer and Syfy’s The Expanse saved by the streaming services (Netflix and Amazon respectively) after fans took to the social networks (and more) to support those shows. So it appears that an active and engaged fanbase can influence the fate of a show if they rally together. 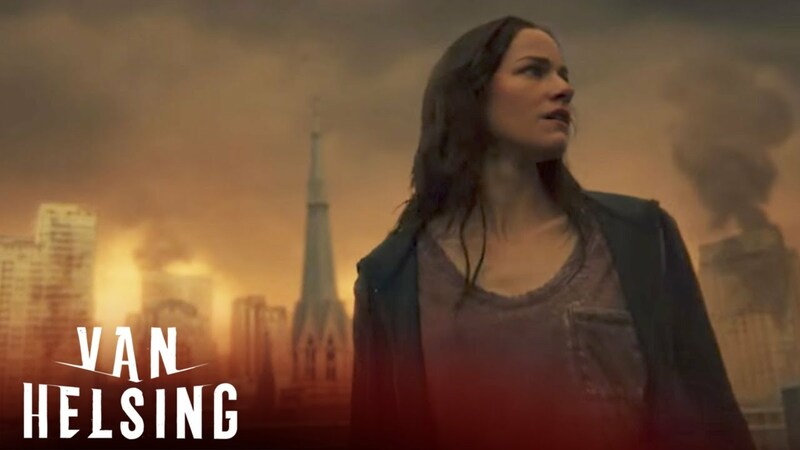 This season, shows like Van Helsing, The Gifted, Midnight Texas, Legends of Tomorrow and more are struggling in the ratings, and the future of Netflix’s Daredevil seems uncertain after the cancellations of Iron Fist and Luke Cage. I have a rundown of all the show currently in need of support from fans at this link. And you can vote on which Fall 2018 shows you want to see return at this link. Manifest (NBC, Status – Renewal Possible): This one pulled very strong numbers for its series premiere, though it has seen those drop since then. It continues to see a notable lift from delayed viewing, though, and if it does not drop much further from its current same day ratings then it should be on course for a second season renewal. Salvation (CBS, Status – Cancelled): As expected, CBS has cancelled this show after two seasons. The network had a streaming deal with Amazon that made the show profitable out of the gate, but apparently CBS decided it would rather run repeats or find a reality show that might draw more viewers to the live broadcasts (repeats of several CBS regular season shows typically scored higher ratings than Salvation during Summer 2018). There did not appear to be much in the way of fan support for the show, so it is doubtful there will be much momentum to get Amazon or another venue to pick it up. Supergirl (CW, Status – Renewal Possible): This show has slipped some the last few weeks, but it has still done quite well for The CW’s first foray into Sunday night programming in a decade, especially considering how competitive that night is. If it can hold steady at current levels, and if the network remains committed to its Arrow-verse shows, this one should soar into a fifth season. The Walking Dead (AMC, Status – Renewal Likely): The post-Rick Grimes era has not led to an improvement in the ratings for this show, but it still continues to rank as the top scripted series on cable and also outperforms most broadcast network shows. 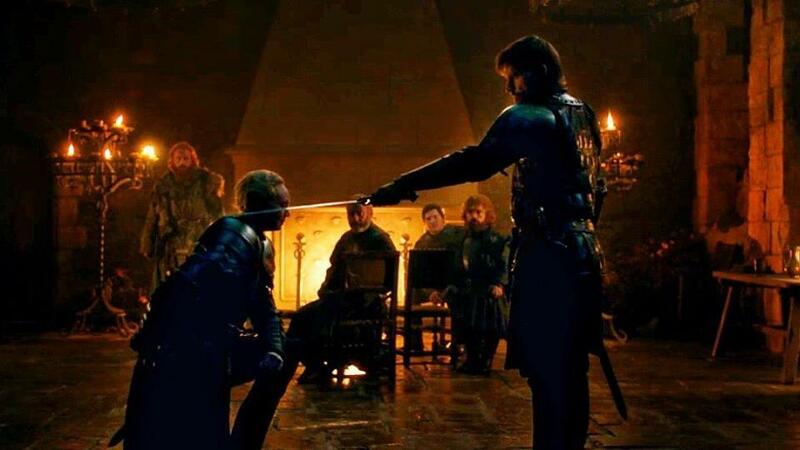 Expect at least a tenth season from this one if not more. b) I’ve been watching TV a long time. I have seen more than my fair share of favorite shows cancelled. Almost Human, and the Expanse immediately come to mind, among many, many others. The Expanse was sort of “the last straw”. I sent off a few very nasty emails to SyFy, and of course, I didn’t hear squat back. There have been new shows that I have specifically not watched, in order to “punish” the networks for screwing me by cancelling shows that I do like. (Gotham was one. I really despise Fox. Don’t care if it’s any good or not. I will *not* watch it.) Lately, I’ve been watching more and more reality science TV shows, like Mystery of the Abandoned, Engineering Catastrophes, Impossible Engineering, etc., and watching less and less scripted TV shows. I could wish that networks would realize, that cancelling a TV show can do more harm than they think, if people just start not to watch *anything* new on their networks. There is a price to be paid for constantly screwing people who want to try out new TV shows, and who get invested in them. I get it: advertising is how they make their money. But they’ve *got* to think longer term, in terms of viewership loyalty too. Because of Dark Matter and the Expanse, I probably will *not* watch Nightflyers on SyFy. Perhaps my loss, but I can always check out the DVD/Blu-ray later on, if it lasts long enough to get issued that way. But really, most new shows on SyFy are garbage anyway (Hunters, anyone? 😉 Helix, etc …), so waiting also gives me the opportunity to see what the consensus is in terms of whether it’s worth watching anyway. So therefore, I benefit twicely. And by the way, I’m aware of exactly why the Expanse got cancelled: the way the contracts were written in terms of advertising revenue, distribution rights, same-day viewership, etc. My question to SyFy would be: who was the idiot lawyer who agreed to such restrictions in the first place!?!? c) I hesitate to mention this one, but … 😉 So for example, I pseudo binge watch a lot of TV shows, stockpiling them, and then watching a bunch grouped together later on. Wouldn’t it be cool for networks and for advertisers, if instead of the 2 or 3 week old commercials inserted into those episodes I would watch now when watching an episode 2 or 3 weeks later, there could be “real time” advertising inserted into those shows? In other words, instead of a set commercial placed into my recording, there is just a marker. The marker calls upon advertising relevant to when I actually watch the show, what time of day I actually watch that episode, heck, even the exact demographics of me as a viewer. Kind of like I’ll go cruise for a product on Amazon, eBay, or just by Googling, and then all of a sudden, I see a lot of ads in general for that product surfing the internet. “Real time” advertising. Yes, there’s some software and programming involved, but the networks could still make some coin by me watching a show even months later. Thanks for the detailed comments, very interesting observations. And I assume you know since you have been following our site, but The Expanse was saved by Amazon after Syfy cancelled it.